Here comes the fate of your love life for the first week of December. Know the future of your personal bond during these seven days with expert astrologer Pt. Hanumman Mishra. Arians, this week is favorable for love life. If you find it difficult to meet your partner in the beginning of the week, stay connected via phone. Your feelings might change in the mid of the week; however, avoid doing anything wrong by getting emotional. Weekend is good, make sure to keep a check on your words. Beginning of the week is quite romantic. Any friend will help you in taking your love life forward. Before spending money on impressing someone, make sure to check your expenses. However, weekend seems better. Your feelings will be valued. Make sure to keep financial issues out from your personal life. If you are in love with your colleague, beginning of the week is going to be awesome. If that person is your senior, nothing can be greater than that. With the help of your friend, you will convey your feelings to him/her in the mid of the week. However, be in your limits during the ending of the week. You might have to stay away from your partner due to some work. This week seems good for the Cancerians. Due to work load, you and your partner will find it difficult to give sufficient time to each other. Same things are possible in the middle of the week too. But, it is always good to take out time for personal relations. You will live a good phase with your beloved in the ending of the week. You will get opportunities to enjoy some really romantic moments. Lions, beginning of the week is slightly against you; therefore, be in your limits and avoid acting stubborn. Relax, things will get back to normal in the mid of the week. You will go out with your beloved and will enjoy together. Weekend look great, make sure that you balance your personal life along with professional. This week seems a mixed one for love and romance. You will enjoy affection and love in the beginning of the week. This time is extremely good for the married couples. Mid of the week is not that good; hence, make sure not to lose your senses. Things will improve in the weekend. Not only you will go somewhere with your sweetheart, but will also get opportunities for recreation and fun. You might act careless in the beginning of the week; however, refrain from acting stubborn. With sincere efforts you can enjoy beginning of the week along with a romantic phase in the mid of the week as well. However, ending of the week is not in your favor; hence, avoid arguing over minor issues. Scorpions, this week is favorable for personal life. You can meet your partner, provided you give it a try. It would be good not to run away from your love life in the mid of the week due to some professional reasons. Your sweetheart might get annoyed; however, weekend is good. You will get opportunities to enjoy with your beloved. This time is excellent for married couples as well. Generally, you will enjoy your love life this week. However, domestic issues or any other reason might keep you frustrated in the beginning. Don’t panic, as you will start enjoying your personal life again, during the mid of the week. If we talk about weekend, it is also going to bring bliss in your personal bond. Love life will go smooth in the beginning of the week. You will get opportunity to spend entertaining time with your sweetheart. However, due to domestic problems, you will fail in doing justice with your love life. Weekend is in your favor. Try to meet your partner at a friend’s place and avoid getting into arguments. This week looks average for your personal life. Rather than engaging in tiffs, try to devote time to romance. Keep financial stuff away from your love life. Middle of the week looks pretty well. Things are great if you are in love with your colleague or neighbour. You will cherish a romantic phase in the weekend. However, keep yourself away from stress. Pisceans are likely to get favorable results this week. You might turn emotional in the initial days; however, restrict yourself from getting carried away in emotions and doing anything that comes to mind. Mid of the week is the time when you should avoid arguments. Make sure you don’t bring money issues in your love life. Weekend is going to be a fabulous one. You will feel energetic due to something recreational. AstroSage has once again brought you the new week’s horoscope. Know what is being scheduled for the first week of December and buckle up in advance. These predictions are based on your Moon sign. In general, the week will give mixed results. But, in the beginning, you will have to curb your expenditure; otherwise financial stress may develop. However, things will start to become better in the mid of the week. Problems will also wane away, but you will need to keep caution. In addition to this, you will get treated with a wonderful weekend. If you have worked really hard in last few days, the beginning of the month will come with the good results. Time is really very beneficial for love matters as well as education. However, expenditure may rise in the mid of the week. On the other hand, last few days of the week might give you some really awesome results. Everything will turn in your favor in the beginning of the week. You will also stay positive about working hard. Along with success, you will also gain fame and respect. There are good chances of getting success too. However, in the mid of the week, you may go on distant journeys or may see more expenditure. But, weekend will be nice. In most of the matters, you are going to get positive results this week. If you get any chance of contributing to any social or religious cause, don’t miss that. In the mid of the week, you will get success in all your endeavors. Also, you will get benefits from everywhere. But, at the end of the week, you will have to put really good efforts to get the better results. Positivity may stay under the dark clouds in the beginning of the week. Hence, you need to stay cautious. However, you will get good results if put hard work. But, these problems will wane away in the mid of the week. In this time, keep your relations good with elders and pay full attention to your tasks, you will definitely get success. The week will come with a roller coaster ride for you. Marital life will be fabulous in the beginning. You will get benefits in the partnership. Take good care of your health in the mid of the week and drive very carefully. Weekend will be nice. Hard work will get you good results and everything will turn into your favor. Starting of the week is good. Your efforts will show colors. You will seem to be surpassing everyone around. Personal life will also bloom like a fresh flower. But, it looks like that the mid of the week might experience a decrement in positivity. Hence, you need to stay restrained. But, the weekend looks really good for you. All the troubles will wane away. In general, the week will be good. Starting days will be nice for love matters; unless you initiate an argument intentionally. Time is really positive for work, especially job. Positivity will stay continuous even in the mid of the week. But, you will have to stay really cautious at the end of the week. Some domestic issues may give you stress in the starting days of the week. But, living close to love partner or children will give you an internal bliss. All your endeavors will be successful in the mid of the week. So, don’t be scared of hard work. But, try to keep your marital life quite romantic. Take proper benefit of the positivity prevailing in the starting of the week. Work with full confidence. Your friends and relatives will support you to the fullest in this time. Short travels will be successful. Stay tension free in the mid of the week. There are good chances of positive results even at the weekend. In general, the week is in your favor. The week will be quite adventurous. You may face some expenditures in the beginning of the week. You also need to work on your language skills during this time. Take all your decisions with patience in the mid of the week. Give proper attention to family and home. Don’t let your loved ones get annoyed with you at the weekend. Be very courteous to everyone. The week is not a cakewalk. Hence, you will have to act very intelligently. Avoid unimportant expenditures as well as journeys in the starting days of the week. On the other hand, take proper benefit of positive situations in the mid of the week. You can make your weekend even more blissful by following a well-planned, restrained lifestyle. So, this was all I had about this week. Keep reading at AstroSage. I will come back again with some more useful stuff; till then, stay tuned! Today, devotees of Durga may get blessings by observing Masik Durgashtami Vrat. Mars Transit In Capricorn Today - What Improvement Will This Transit Bring For Administration? Mars is transiting in Capricorn on November 27, 2014. What results will be produced when Mars will transit in exalted sign. What will be the effects on nation, masses and your sign? 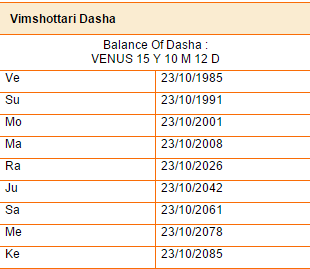 Know the effects of Mars in Capricorn Transit by the predictions of ‘Pt. Hanumman Mishra’. Planet Mars will enter in sign Capricorn on November 27, 2014. It will stay in Capricorn till January 4, 2014. After transiting in Capricorn, Mars will not only remain in exalted condition, but it will also be aspected by Jupiter. 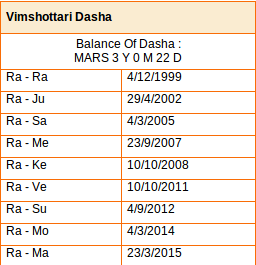 In this situation, the auspicious results of Mars will increase naturally. Administration will improve throughout the country and world. The defence-security policies of the country will become more stronger. Those who are related to country’s administration, will get special benefit. You can also improve your organization, by knowing the effects of Mars transit in Capricorn in advance. So, let’s discuss what impacts will be produced by the transit of Mars in Capricorn on different zodiac signs. Venus is rising on November 27, 2014. How this event is going to be for your fate? How will it affect the country, the world and everything? Know the effects of Venus rise in Scorpio on your zodiac sign with ‘Pt. Hanumman Mishra’. Planet Venus gives an idea about females, jewellery, vehicle, business, and happiness. It is believed to be the significator of marriage, married life, and marital happiness. Venus combusted on October 2, 2014 and remained like that till November 27, 2014. Pleasures related to Venus reduces in the situation of combustion of Venus. But, after the rise of Venus in Scorpio on November 27, 2014, all the interruptions in pleasures related to Venus will go away. November 24, 2014, is the date when Mercury will transit into Scorpio. This time is going to bring something special for wise and intellects. What will be those results? What effects will this transit produce on you? Find out with ‘Pt. Hanumman Mishra’. We often come across the Mercury transits, but, they put a deep impact on our lives. November 24, 2014, is the date when Mercury will transit in Scorpio, which is a sign of Mars. 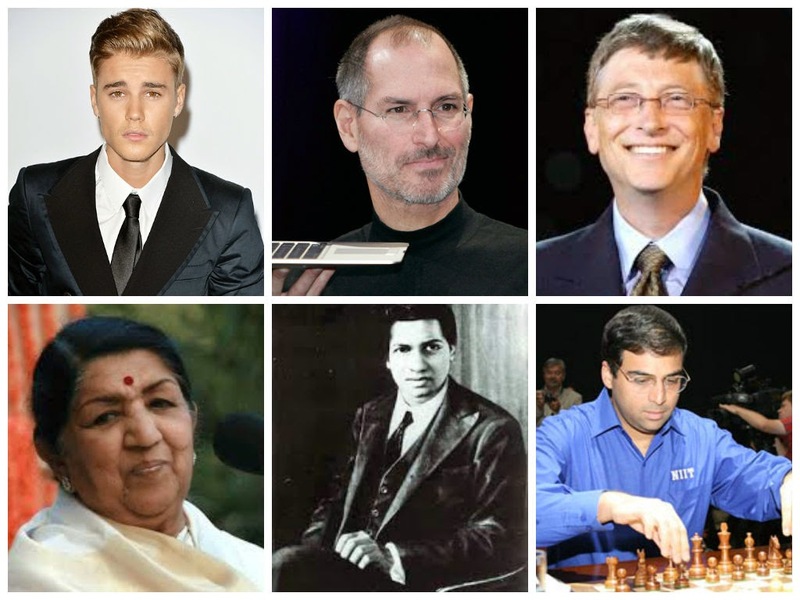 Scorpio is considered as a diplomat sign and Mercury is considered as a planet of intelligence. That means planet of intelligence is going into the sign of diplomats, which implies that this is going to be a very good time for the wise and intellects. But, because of this transit, some bad politicians will also try to create a disturbance between governance and society. We can also see some protests and abuse at this time. Politicians will also blame each other. What effect will this transit produce on your sign and on our country? To find out, let’s read the astrological predictions given by ‘Pt. Hanumman Mishra’. What is there for you and your sweetheart in this week? How much favorable this week is for your personal life? Read this weekly love horoscope by Pt. 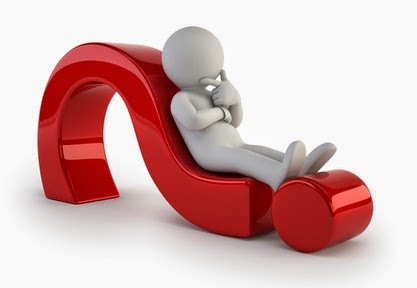 Hanumman Mishra and find out answer of your questions. For Arians, this week is not that favorable for their love life. Sun, lord of fifth house is posited in the constellation of it enemy i.e. Saturn. Due to professional reasons, you might not get ample of time for love and romance. Stubborn attitude should not be there in the beginning of the week. Weekend is the phase when you should take out time for personal ife along with professional. This phase will bring betterment in love life. Taureans will live an average love life this week. Mercury, being the lord of fifth house is posited in the constellation of Jupiter, this indicates that married couples will enjoy a blissful married life. However, singles won’t get to enjoy that pleasant time. Starting days of the week are favorable for going somewhere with your partner; however, you need to be restricted in the mid of the week. Weekend will bring betterment. 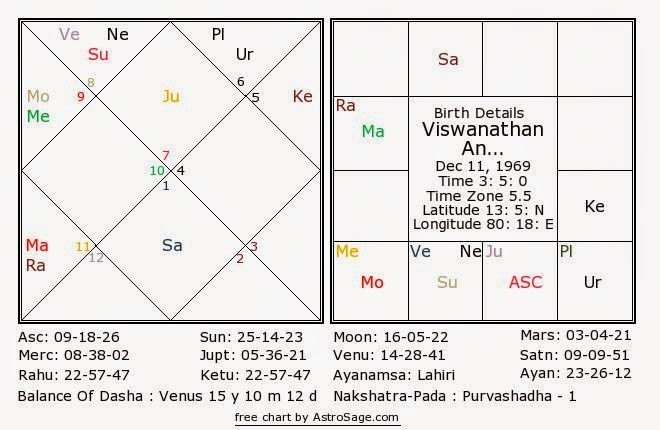 Venus, lord of fifth house is posited in your sixth house, is combust and is in the constellation of Saturn; hence, your love life will lack that liveliness which otherwise is always there. You might feel irritated at the beginning of the week. Though married couple will have a sweet life, but you need to be in limit during the mid of the week. You might get opportunities to spend time together in the weekend. Cancerians will have a favorable personal life this week. Mars, lord of fifth house is in seventh house. Also, it is in the constellation of Sun; hence, love life will intensify naturally. Keep ego out of your personal life in the beginning of the week. Mid of the week is extremely good for love life, but not the weekend. It is suggested to be in your limit. Jupiter, lord of fifth house is in the sub constellation of Saturn. As a result, you won’t feel like giving the needed attention to your love life in the beginning of the week. However, you will try to give maximum time to your sweetheart in the mid of the week. Make sure not to argue over anything. However, you will enjoy the best of your personal life in the ending days of the week. 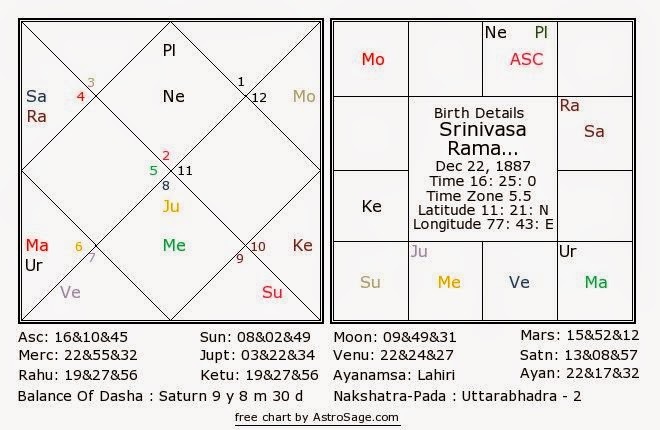 Lord of fifth house, Saturn will remain under the influence of Venus and Rahu; hence, stability will be there in personal life, but transparency is also needed. Inter-caste love is possible. Spend the starting days of the week together. While it would be good to meet at friend’s house in the mid of the week. Weekend seems good; hence, stay away from arguments. For Librans, this week has mixed results. If you have ever committed any mistake, keep it in front of your partner in the right way. You might get close to someone who belongs to other caste. Due to financial and familial reasons, you might give less time to your love life. You might go somewhere with your partner in the mid of the week. Things will intensify in the weekend. Your fifth house lord, Jupiter is in the sub constellation of Saturn. Therefore, you might not give sufficient time to your sweetheart owing to ill health or domestic issues. In the beginning of the week, frustration or upset mood might serve as an obstacle in the way of love. However, you will get good results in the middle of the week. You will get improved results in the weekend, if you have familial relations with your partner's family. Sagittarians will have a good time this week. Mars, being the lord of fifth house is posited in twelfth house. Besides this, it is in the constellation of Sun, lord of ninth house. Due to this, you might go away from your partner due to some journey. You might feel that your emotions are ignored in the beginning of the week. However, you will devote time to your personal life in the mid of the week. Refrain from arguments in the ending of the week. 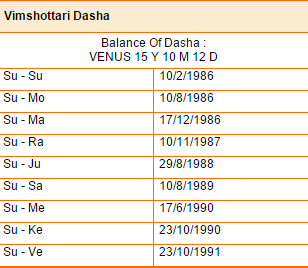 Venus, lord of your fifth house is in eleventh house, which is a favorable situation. Also, it is posited in the constellation of Saturn, lord of your sign. Though it is combust, you will get satisfactory results. Beginning of the week will bestow you with abundant affection. However, coming to the mid of the week, trust on each other is very important. Weekend will end all personal problems and your love life will rejuvenate once again. 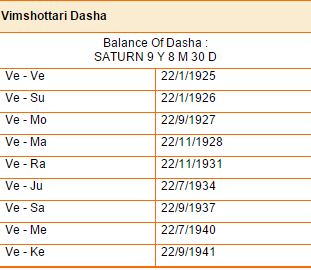 Lord of your fifth house is in the constellation (Nakshatra) of Jupiter. As a result, you will cut down the time of your love life due to familial matters, some work or any conflict. Due to work load, you will find difficulty in giving ample time to your personal life in the beginning of the week. You might feel dissatisfied in the mid of the week due to doubt or tiffs. Relax, as things will improve in the weekend. Generally, this week is favorable for your love life. However, avoid acting frustrated in the starting days of the week. With sincere efforts, you can end the tiffs and issues of previous days. Entertaining trips are also on your cards. No matter how much is the workload, giving proper time to love life is very important. Weekend is not favorable, avoid being getting irritated and be affectionate. Mercury will transit in Scorpio tomorrow. Stay tuned to our tomorrow’s article to know the effects of this transit on your zodiac sign. Weekly horoscope is here to help you plan your entire week ahead. Know what Pt. Hanumman Mishra says about your week and get your life changed! Beginning of the week is not favorable; hence, be careful. Avoid being in hurry. Better results can be expected in the middle of the week. During this time, you will feel inclined toward religion and spiritualism. Your endeavors will accomplish, while in the weekend; not only your endeavors will get fulfilled, profits will also approach you. You will get mixed results this week.Try to live the best of your conjugal life in the starting days of the week or spend this time with your loved ones. This time is good for partnership work as well. However, mid of the week is not good; therefore, be careful. Things will get back to normal in the ending days of the week. You will be in a mood to do hard work in the beginning of the week. As a result, you will get assured success. Though this phase is not strong financially, but you can get relief from debts. Marital and personal life will remain prosperous. However, be careful in the middle of the week. Weekend is extremely favorable. Journeys are possible. For love relations and matters of education, beginning of the week is very favorable. However, minor tiffs are also possible along with the partner. It would be good to solve the matter as soon as things seem to be going in the wrong direction. During this time, work front will also improve. Give attention to domestic life in the middle of the week. Relation will improve with spouse and business partner. However, weekend is less favorable; hence, stay cautious. Lions, beginning of the week is not favorable; hence, be cautious. Try avoid going on distant journeys. Deal smartly with domestic matters. Drive vehicle carefully. Love matters should be handled carefully. Worries related to children and education will come to an end. Your works will be accomplished in the middle of the week. Weekend is prosperous for conjugal life. The week will begin on a good note for you. However, profits are possible after some hurdles. Brother and relative will be supportive during this time. Confidence will improve. You might annoy your loved ones by getting frustrated over anything. Try doing any such thing. Ending days of the week will give better results, fetch best of them. Librans, you will get mixed results this week. By getting over excited in the beginning of the week, don’t forget that spending unnecessarily can affect your financial situation. Before speaking think carefully. Middle of the week is favorable. Your confidence will help you in gaining victory. Your endeavors will be accomplished. Protect your relations from getting spoiled in the last days of the week. This week demands careful attitude. If not well health wise in the initial days of the week, avoid going on distant journeys. Cold and sneezing are possible. Unwanted expenses might come your way. Middle of the week will give better results comparatively. However, stay restricted in every matter during weekend. Follow brain and not your heart in this phase. This week is going to be an average one for you. Expenses made in the starting days of the week will get compensated as well. However, don’t forget to pray at times of restlessness. Mid of the week is better. Financial matters need concern. Weekend seems better and enthusiastic. Though beginning of the week is favorable, but health of your spouse might get affected. Try to maintain good relations with your spouse at this time. During the mid of the week, spend by keeping your budget in mind and avoid personal arguments. Weekend seems better, you will get success in most of the things. However, don’t do anything by getting over excited. Aquarians will get favorable results this week. Your work will get accomplished due to your hard work and dedication. Opponents will remain inactive and endeavors will get accomplished. You will get support of seniors, but don't do anything which can harm your image. Profits will increase. Sudden expenses are possible in the middle of the week. Weekend seems better. This week is favorable for Pisceans. If planning to go on pilgrimage with your small child, make sure not to leave him/her alone. Your works will get accomplished. Middle of the week is favorable. Not only will your work get accomplished, but you will earn good income too. Spend carefully in the weekend. 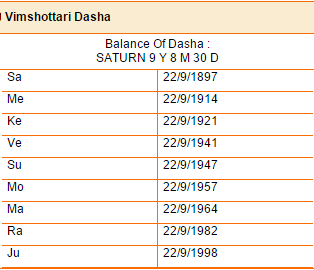 Today is Snaan Daan Amavasya. Make the best of this day by taking bath in the holy river Ganga and by doing charity. Want to cherish success, fame, and glory in 2015? Looking for something that will end all your troubles by simplifying your complex life? If you relate to such questions, AstroSage.com has the solution - “Chinese Horoscope 2015”. Check it out now! AstroSage.com, India's no. 1 astrology portal, excels in everything related to astrology; but when it comes to horoscope predictions, we are the masters. Here, we are providing you 'Chinese horoscope 2015' and that too absolutely free. 2015 Chinese New Year will begin from February 19 and will continue till February 7, 2016. 2015 is the year of the Sheep, but you can also call it as the year of Goat or year of Ram. Chinese astrology is a 12-year cycle, with 12 animal symbols. Depending upon the trait of animal, lies the predictions of that particular sign. For all those who were awaiting for Chinese horoscope predictions, the wait is over. Know your health forecast, compatibility with partner, lifestyle in 2015, and career direction through Chinese horoscope 2015. Continuous failure and disappointments won't haunt you anymore, as our Chinese horoscope 2015 has some excellent and extremely effective solutions. Open our horoscope page, enter into Chinese horoscope 2015 section, click your animal symbol and get your readings for 2015.
International Student’s Day is celebrated today. This day marks the celebration of events of year 1939, which was a fight against fascism. Once again we have come with weekly love horoscope for all the love birds. What is locked for your personal life in this week’s predictions? How much goodness is associated with it? Unfold it with Pt. Hanumman Mishra. This week is favorable for the love life of Arians. It’s possible to meet your beloved, if you put in some efforts. In the initials days, you will remain joyful, owing to your fabulous love life. Middle of the week foresees you and your beloved pulling legs of each other; however, make sure not to annoy each other. Married couples will enjoy marital bliss. Weekend seems a bit less favorable. The week will begin with a bang, but you might remain under stress due to some family issue. As a result, your love life will lack intensity. However, you and your partner will bridge this gap in the middle of the week. Your passion will heat up the things between you two. Avoid turning minor issues into major ones, during weekend. Married couples should refrain from arguing with their spouse. Generally, this is going to be a favorable week. You and your beloved might go somewhere in the initial days of the week. As this phase is favorable for entertainment, you can go for a movie together. If planning to meet in the middle of the week, home is the best place. Coming to the end days of the week, your love life will reach heights. However, take care that fun should remain fun and you don’t end up annoying each other. Cancerians, you are going to have a mixed week. You will feel like surprising your sweetheart with a special gift in the beginning of the week. Avoid using harsh language in this time period. Plans of meeting should be implemented in the middle of the week. It would be good to enjoy a thriller movie together. Talking about the weekend, you will enjoy emotional moments with your partner. Though you might worry about some issues; still, you will have a wonderful weekend. Lions will begin this week on an emotional note and might react on their sweetheart due to some reason. Well, it would be good to avoid such an attitude. Don’t drag issues of money between your love. Middle of the week is going to be far better and you will successfully manage your professional and personal life. Weekend is expected to frustrate you, due to domestic matters. Try to keep your personal life unaffected from it. Virgo people might feel a decline in appreciation of their feelings in the starting day of the week. Due to some reason, you may have to go away from your beloved. Stay away from getting irritated. You will find time for your love life in the middle of the week. Your feelings will create their charm. However, weekend is a call to refrain from conflicts. Whether you go for fun and entertainment or not, make sure not to annoy each other. Favorable results will approach natives of sign Libra. For those who are in love with their colleague, extremely romantic moments are foreseen. If your partner is at a different place, you will still cherish good times. However, mid of the week is not promising; therefore, don’t doubt your beloved on account of some confusion. Things will improve in the ending phase of the week and you will get back to love with same emotions and feelings. This week is not your cup of tea for personal matters. Continuous efforts are the only way to keep love life smooth. Due to workload, you might find difficulty in devoting quality time to your sweetheart. Coming to the possibilities of middle of the week, doubts on each other for some or the other reason will keep you and your partner apart. Though things will improve in the weekend, refrain yourself from using harsh words. For Sagittarians, this week seems quite favorable. If there have been some issues from last few days, going on a religious place together will help. Interesting journeys are also possible this week. Though there will be workload in the middle of the week, but you will give proper time to your sweetheart and would enjoy a great time together. However, weekend is not that good, as you are expected to get frustrated. Try to avoid this attitude. Caution is the word for you in the beginning of the week. Keep your stubborn attitude in control, else your bond of love might get affected. If there is any problem, it won’t last for long and sweetness of your love will return back in the middle of the week. You might fall for someone at a social or religious event. Due to workload, you will give less time to your love life in the ending days of the week. Though the week is good for love matters, but tiffs over some issues are also possible. This is the time to remain extremely faithful. It would be good to solve the differences in the beginning of the week. Middle of the week is better, things will improve with the help of seniors. Last days of the week will bring back the lost sweetness. Make sure to give time to personal life along with work. You might feel aggressive in the beginning of the week. It would be good not to make anyone the victim of your anger. Make sure to maintain love and affection in your personal life. If you are married, enjoy your married life. This is the time to sort out all the issues. You can improve the things with little efforts. Weekend is advising to stay in limit and restricted. You will get opportunities to go somewhere with your love in the weekend. In general, this week will be positive for you; the positivity will prevail from the starting of the week. You will experience the ecstasy of love, but try to avoid arguments as much as possible. Your will do great at work. Things will improve in the mid of the week. Personal life will also be nice, but you will have to be cautious at the weekend. Generally, the week is in your favor. Though some stress is possible at home due to domestic strife in the beginning of the week, but the betterment of love life will help in relieving the stress. Tensions related to children or education will also wane away. Your hard work will come out with flying colors. You need to be extra cautious for your marital life at the weekend. Starting days of the week are positive for you. Your loved ones will stand by you during this time. Self-confidence will stay high. Short travels will be fruitful. Your luck will support you. In the mid of the week, come out of confusions and try to fix your domestic problems. You may also take the help of your friends in this work. You will get rid of all your troubles at the weekend. The week is coming with mixed results for you. Starting of the week will be full of expenditures. You will have to be extra cautious for your speech during this time. In general, you will get good results in the mid of the week, but try to avoid taking any decision with the influence of some other person. Don’t let your family be disappointed. You need to behave very nicely with your loved ones at the weekend. This week is all about being cautious. Some unimportant expenditures may come in front in the beginning. 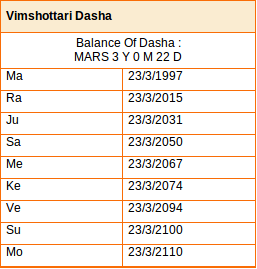 During this time, you will have to take any decision very strictly on the basis of valid facts, not by emotions. In the mid of the week, better results are possible comparatively. You will do things better on the basis of your skills. But, stay cautious in everything at the weekend. In general, the week will show mixed results. Expenditures may stay high in the beginning of the week. Some restlessness may also stay in mind, but things will get better in the mid of the week. Things will get better to a greater extent. You will get support of your elders. Though you will still need caution in the financial matters, but you will be able to make things better at the weekend by putting some efforts. Starting of the week will give you the result of your Karma done in previous days. You will stay happy and get the support of your seniors. Time will also stay positive for love matters; whereas, expenditure may rise in the mid of the week. Hence, you need to be restrained in financial matters. On the other hand, things will be better at the weekend, but you will have to stay cautious for financial matters even during this time. Generally, the week will be in your favor. Your hard work will pay quite well in the beginning. You will get support of your seniors. Whatever you will pick, you will come out with flying colors. Also, your name and fame will increase. Profit rate will stay high, but you may face some sudden losses in the mid of the week. Some distant journeys are also possible in this time. You will get mixed results in the mid of the week. In general, the week will be positive. If you get any chance to be the part of any religious or social work, do it. A journey is also possible related to work. You will see success everywhere by the grace of your elders’ blessings. Mid of the week will be quite awesome. All your endeavors will be successful along with a good income. However, weekend could be a little weak comparatively. In the beginning of the week, you will have to work quite cautiously as well as intelligently. Though there is no need to take tension, but there is always a scope of betterment. Even though the mid of the week will be quite positive, yet you will feel inclined toward religious stuff. Everything will come into your favor. If your seniors are unhappy, this is the best time to make them happy. You will get benefitted being cautious in the end of the week. This week will give you mixed results. You will get positive results in the beginning. Married life will be happy. If you are doing something in partnership, there are good chances of better work. On the other hand, it will be very important to take good care of your health; especially while driving. You will get better results at weekend; and things will be in your favor. You will do a lot of hard work in the beginning of the week. You will seem to be going forward from others during this time. You will stay enthusiastic; and eventually it will result in amazing results. Personal life will also be happy. However, you will have to stay cautious in the mid of the week. It won’t be good to join any argument during this time, but you will start getting good results from the weekend. Utilize the best of these predictions and make your upcoming week even more happening. If you have got any feedback, just write it down in the comment box. This wonderful day will be celebrated as Prathamashtami in Orissa. From today, the grand Qutub Festival will begin at Delhi. Tomorrow, Sun will transit into Scorpio. We will come up with the predictions tomorrow morning. Just stay tuned.